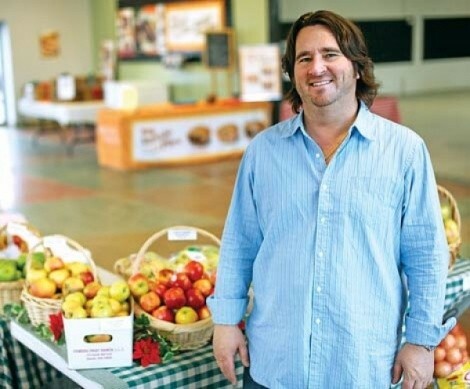 Steve Holmes doesn’t have the velvet voice of Bing Crosby, but he has no problem singing, “Let it snow, let it snow, let it snow,” because the farmers market he manages isn’t at the mercy of the weather, no matter how frightful it is. Located in the old EcoMoto building at 1050 S. State, Market on State is a delightful space where the sun filters into large east-facing windows onto the colorful floor, spotlighting the 10 or so Utah-based vendors. “I wouldn’t say I’m a full-fledged tree hugger; I’m not an extremist, but I’ve always purchased local in any business whenever I could, be it car parts or whatever,” says Holmes, who, at different times, has run a tanning salon, video arcade and auto body shop. In the ’80s, he’d bought the building the market is now in for the auto body shop. Already owning the space gave him the ability to enter the food business. “It would have cost too much money to get going otherwise. That’s probably why no one else has done one of these,” Holmes says. Park City’s Market Hall was an exception, although it’s now out of business. Holmes says the project is especially significant for the vendors from various summer markets, including Pioneer Park, who need a place to sell during cold months. He says the store came together quickly and easily, from idea to inception in five weeks, prior to opening in late October 2010. The ever-increasing list of vendors includes Morgan Valley Lamb, Canyon Meadows Ranch (beef and honey), Volker’s Bread, Fowers Farms (fruit and produce), East India Pantry and more. Shoppers can avoid the summer-market hustle and bustle and go in to buy just some lamb or bread but end up leaving with a basket full of goodies, enjoying the bounty of the great outdoors while indoors. Tues. 3-7 p.m., Sat. 10 a.m.-4 p.m.